The Arusha branch of the Mechanism for International Criminal Tribunals (“MICT” or “Mechanism”) today marked International Women’s Day with the theme “I Am Change”, reflecting the global theme for International Women’s Day, “Be Bold for Change”. 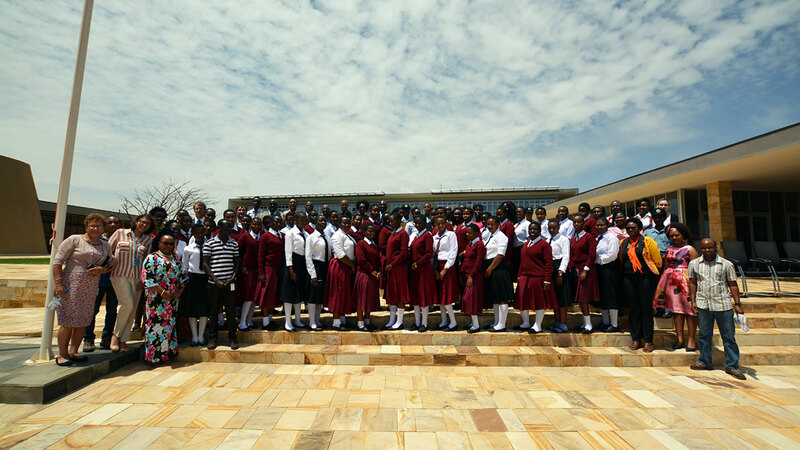 In this year’s commemoration of International Women’s Day, the Mechanism hosted 45 female students from two local area secondary schools both located near the premises of the Mechanism in Lakilaki, Arusha. Graduates from the Mechanism’s “Make Her Future Happen: Mentoring Programme for Arusha Girls” of 2015-2016 were also present to share views and experiences. Officials of the Registry of the Mechanism Mr. Samuel Akorimo, Ms. Sera Attika and Mr. Ousman Njikam gave an overview of the various functions of the MICT to the students and graduates. They also engaged the participants in a range of discussions which encompassed the functions of the Mechanism in responding to international crimes committed against or particularly affecting women and girls and the roles of female staff in the Mechanism, as well as more general issues of the economic, social and political achievements of women, the importance of accelerated closure of gender gaps and the need to ensure women’s advancements globally. Recalling the Day’s themes, the Mechanism’s Focal Point for Women, Ms. Attika, commented that, “we have been re-invited to remember bold actions, declare bold initiatives or share bold stories of change and fortitude in an effort to both celebrate the achievements of women and girls, but also to remember that there are still significant trials ahead…”. The participants were taken on a tour of the new premises of the Arusha branch of the Mechanism, after which small group discussions were held to further discuss issues which relate to women’s rights in areas of international criminal justice and globally.